We at Maiden Revelations do not mean to challenge the official cause of death, but we are certainly reminded that the controversial former British PM Margaret Thatcher has been on Eddie’s kill list for over 30 years by now. Norwegian daily Aftenposten has a piece about 25 pop and rock songs inspired by Thatcher. Maiden are only used to illustrate the article and don’t actually feature in the song selection. But there is Thatcher criticism aplenty in songs by the likes of Elton John and Pink Floyd. 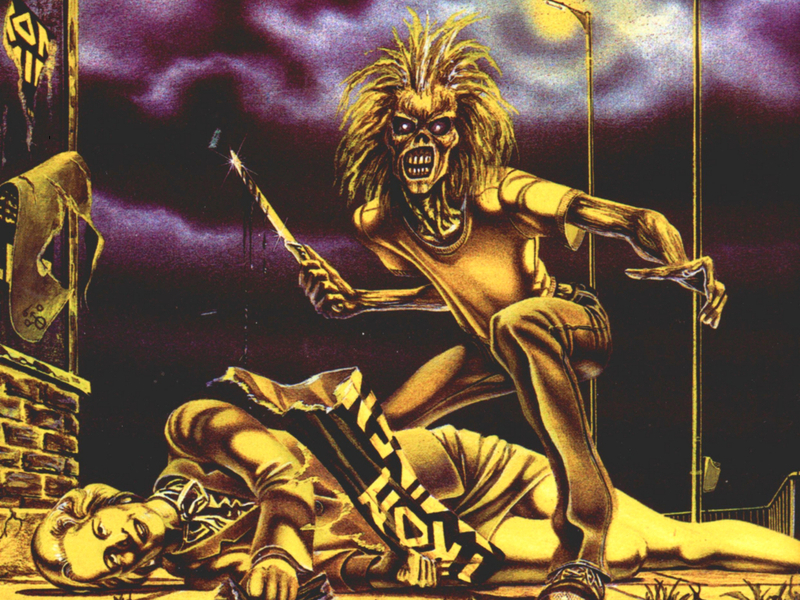 The paper probably felt that the above Derek Riggs illustration for Maiden’s Sanctuary single was a little too radical, and went with Maggie’s revenge in the Women In Uniform artwork instead. Chicken. Whether Maggie’s death was a result of Eddie’s patient long-term planning or not, it certainly seems that the Iron Maiden will outlive the Iron Lady by a considerable distance. ← TOUR UPDATE: Maiden England World Tour returns to North America! It’s very difficult to find an original press with the “Eddie over Maggie” pic without the censor-bar across her eyes. Now, anyone who does have the incredible fortune to have it in their possession should hold onto it for dear life! Indeed! Those won’t be any less valuable from now on.